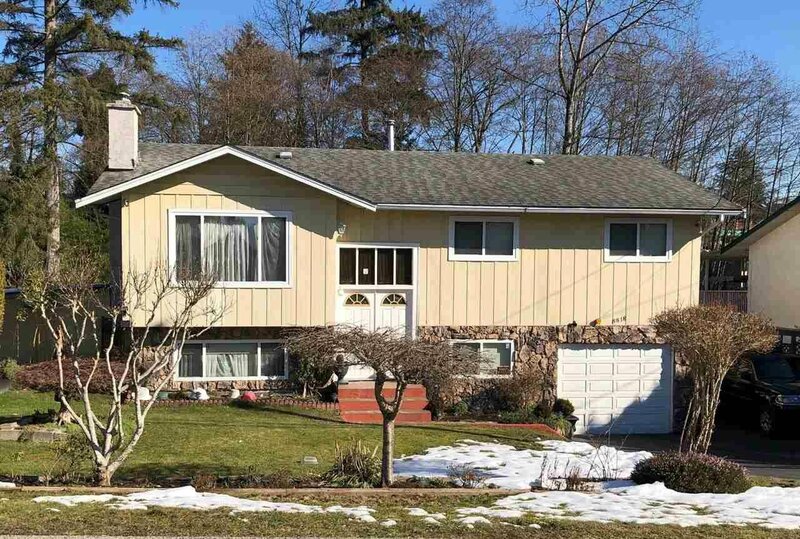 Don't miss this immaculate basement entry home situated on a large 11,355sf lot. Upstairs features 3 bedrooms and 1 Â½ bath, a cozy living room with fireplace, dining room with sliding door leading onto the covered deck. Fully fenced yard backing onto a salmon spawning creek with lots fruit trees, perfect for entertaining and gardening. One bedroom downstairs with 3 piece bath and a huge rec room perfect for entertaining. The Rec room is roughed in & the separate entry allows the potential for a secondary suite. This property is perfect for first-time home buyers or investors looking to rent now and build later.